WHAT STARTED IN 2012 WITH THE VISION “TOUCH THE HEART OF PEOPLE THROUGH MUSIC” HAS BECOME A STRONG MESSAGE AND INSPIRATION FOR HUMANITY. THE STORY OF DUST OF SOUL TELLS THE HISTORY OF TWO PEOPLE WHO TRUST AND SHARE THEIR LIVES. TWO PEOPLE WHO HAVE EVERYTHING LEFT TO FOLLOW THEIR DREAM. A PROMISE TO NEVER STOP BETWEEN BOTH AND DISCOVER WHAT IS REALLY POSSIBLE. Singer Saskia Stäuble from Basel, known as ‘DUSTY’, and Pianist Michael Odermatt from Lucerne, known as ‘MiKey’, form together the duo ‘Dust of Soul’. They both reside in Switzerland and work around the world. Dusty’s powerful and unmistakable voice and MiKey’s empathic piano play with their own style: “Opera Pop”. All songs are composed and composed musically by Dust of Soul. The musicians convince not only by their musical composition in the traditional sense of the term, but also by their talent to create live on stage. This creates unprecedented proximity between the artist and the audience. Dust of Soul occurs internationally as a duet. In the last six years, eight countries have been on the program (United States, Switzerland, Tunisia, Italy, Germany, France, Turkey, Oman). The duo regularly initiates musical projects with local artists to set an example, to make a difference with music. This resulted in his #HumanityFirst campaign. Johann N. Schneider-Ammann, with a personal letter, was honored by the President of the Swiss Confederation 2016 for his musical initiative. The highlights in their career were the appearance at the Opera House “Teatro Dal Verme” in MILANO, in the NEW YORK concert hall “W. M. P Concert Hall”, the famous shows of the prestigious Swiss castle Gütsch in LUCERNE, the spectacular performance on the ice field “Live on Ice” as in ZURICH and the big concert at the “Acropolium de Carthage” in CARTHAGE, Tunisia. In October 2017, the duo appeared as the opening act of Bollywood Indian Superstar Ayushman Khurrana at the MUSCAT “City Amphitheater Qurum” in Oman. The show was presented by MTV India “MTV Unplugged India”. In 2018, “Dust of Soul” had a great honour: together with 25 Arab musicians from the “Lujinia Omani Band”, the duo performed their song “The Color of Oman Is Love” on the biggest stage in Oman, the Muscat Amphitheater on the National Holiday that is also the birthday of the Sultan. In November 2018, Dust of Soul received an award from the ‘Girija Baqer Art Foundation’ for their work. 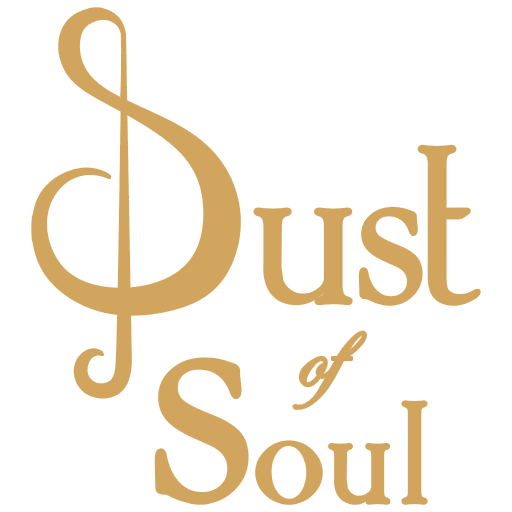 With more than 120,000 social media followers (Facebook, Instagram, Twitter) from around the world, more than one million video clicks (Facebook, YouTube) and after 110 live concerts that have been a worldwide success, Dust of Soul has produced their first album: “Dust of soul In Colors”. This first album was released on 25 March 2019 at the Theater Pavillon Luzern. Rapper Yaw Boso and the Latin Superstar Rodry-Go, who was already on stage with Santana, Deep Purple and Anastasia, as well as dancers from Basel and Oman came to Lucerne for the show.